L’Oreal wanted a way to better engage their foot traffic in trade shows, coupled with a platform to better showcase their products. They imagined a BioMatch Quiz that prompted customers discover the right product for them, and were in need of an interactive kiosk interface for its launch. 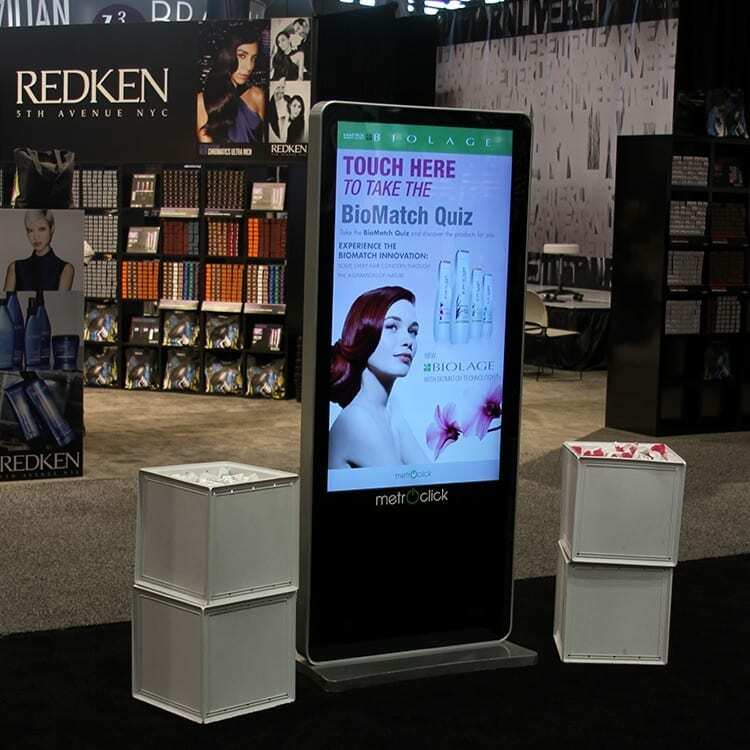 MetroClick created a customized kiosk platform through which passersby could take the Biomatch quiz, as well as browse L’Oreal and its brands’ products. The kiosk was also equipped with a CliqClik photo booth, so that users could share their picture to Twitter or Facebook and boost the brands organic online impressions. 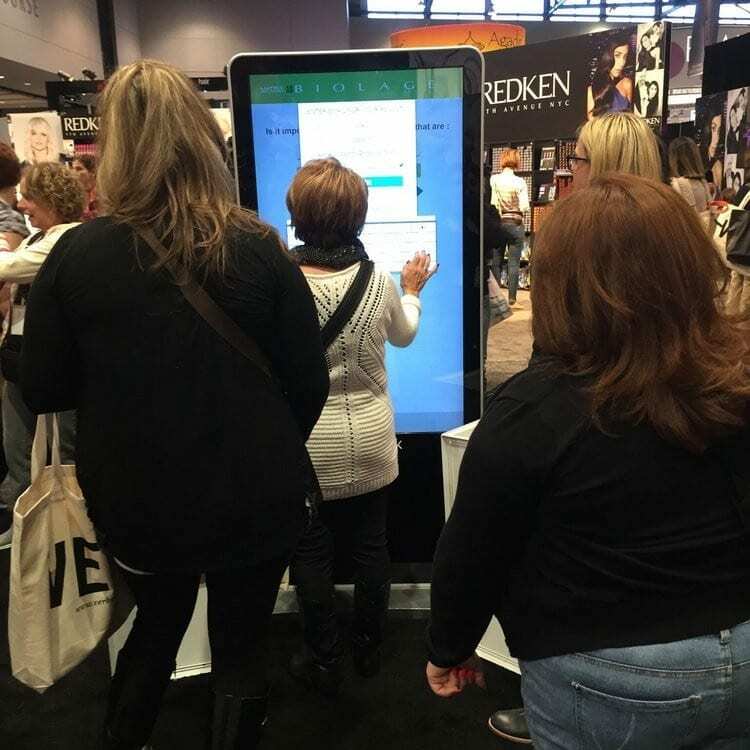 With our innovative technology at the front of their booth, L’Oreal attracted much of the trade show’s passersbys into their booth to use the custom trade show kiosk. Their captivating content showcased on an interactive, personal platform further leveraged user interest, garnering them numerous leads and creating successful conversions.